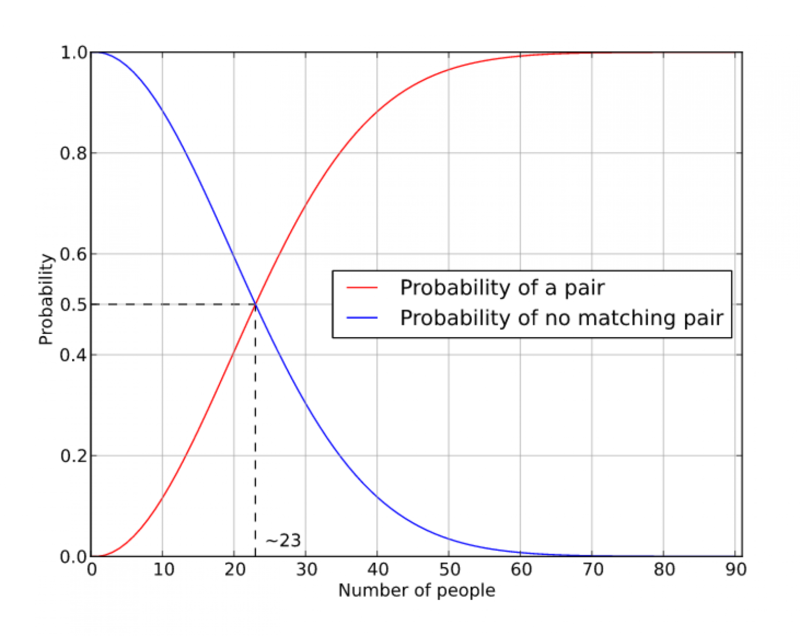 But as you add people to this equation, the probability that no two people are born on the same day starts to fall , first gradually, and then sharply. With five people, it's 97.3 percent. At 15 people, it's 74.7 percent. And to get better than even odds (50 percent or more) that two people in the room have the same birthday, you only have to assemble 23 people. For example, think of probability estimate like FiveThirtyEight's 2016 Election Forecast , which in early November showed Democratic candidate Hillary Clinton with a 70 percent chance of winning and Republican candidate Donald Trump with a 30 percent chance. Many people look at a lopsided probability like that and assume that a Clinton win is all but assured. And if Donald Trump were to be victorious, some might assume FiveThirtyEight got it wrong.